Collection of my personal writing, poetry, and reflections. 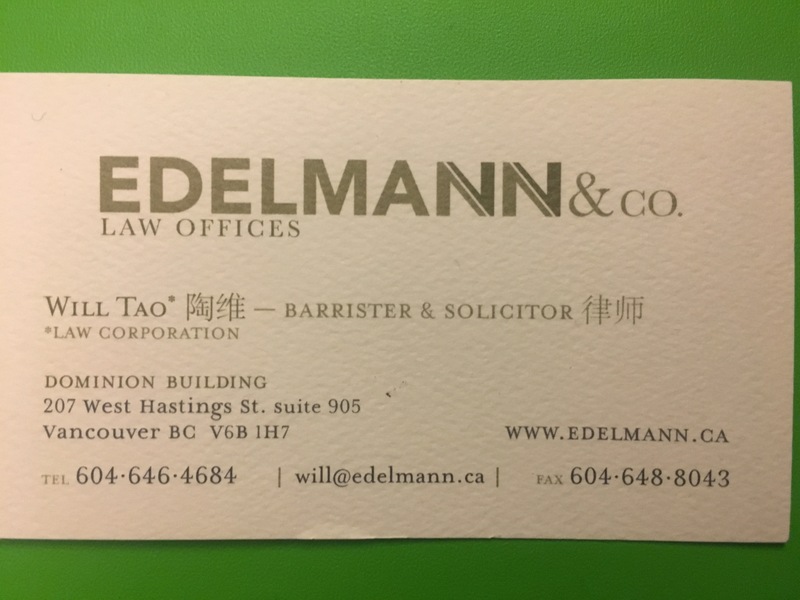 Over the past several months, I have had the unique opportunity of being part of a City of Vancouver Committee looking at Historical Discrimination Against Chinese in Vancouver from the City’s incorporation in 1886 to provincial franchisement in1947 and later to the granting of full municipal voting rights in 1949. I am very consciously aware that (other than two amazing and brilliant civic historians who happen to be Caucasian), I am the only member of the committee without a common history from Southern China. Indeed, I am almost the youngest member of the committee by at least 15 to 20 years. As I listen to the stories told in a room, like the one told during today’s second consultation session, I am conscious that I am outsider. I recognize the privilege I have now as someone who was able to call Canada my birth country in the years post-Charter of Rights and Freedoms. The stories of wives separated from their husbands for generations or two-years worth of income head taxed upon arrival, was not one I had to live through. From a day to day level, I have never had to sit in the back of a movie theatre, because the front seats were reserved for whites only (Although, as one of my colleagues reminded us we, at an alarmingly higher than usual rate, often end up getting seats in the back corner or near the washrooms at many restaurants). I was able to be article and be called to the Bar of B.C. as a lawyer something Gordon Cumyow, son of Alexander Cumyow, was unable to do because he was not on the voter list in 1918. I am grateful for those that made this so. Brave Chinese-Canadian veterans who fought for Canada in World War II, returned, and argued for equality paved this pathway. Chinese-Canadian workers, demanding equal respect from labour unions, created their own employment organizations and forged worker movements that carved this pathway to try and bring and end to both the institutionalized and legally endorsed racism of the time. It is also to be noted that I also do not speak Cantonese. My knowledge of Cantonese does not extend beyond the basketball court slang tossed around during my high school days. However, through what I can decipher, it is a language of energy and passion. I am reminded of my own dialects of Shanghainese (and increasingly Chongqinghua, adopted from my wife) that I have become accustomed to from spending time in both Shanghai and Chongqing. Much of the Chinese advocacy movement today is led by Cantonese-speaking youth, children of immigrants who came to Canada in the decades and, in some cases, generations before my own late father did. I commend them their activism and truly believe their language connection to their ancestors who themselves, were early advocates, is immensely important. Many of these stories that I have heard in the past months are centered around one, much debated, neighbourhood in Vancouver – our Chinatown. I want to state at the outset that I appreciate that I am writing at a very sensitive time, with the 105 Keefer consultations currently occurring in the City of Vancouver. I am still working through the City staff report and do not feel informed enough to comment, nor do I feel commenting in this piece adds value to the story I want to tell. I do hope, that those who read the piece below, and never been to Chinatown – hell, may be even be too scared or disgusted to go Chinatown and experience the markets, classic restaurants, and bakeries – give it a much deserved chance (or second shot). Growing up in Vancouver in the early 90’s, there really was no choice for Chinese groceries, meat, seafood, and baked goods – other than Chinatown. T&T at this stage was non-existent. There was no Foody World, No Osaka Supermarket, no Empire Supermarket, and the other groceries that now line Bridgeport and No. 3 Rd in Richmond. Even Victoria Drive, which is now bustling with grocers, was “too far East” to us in those days. Going to Chinatown was the weekly family trip. We’d pack into our family’s small Toyota Tercel and drive to Chinatown. Some days we ended up parking a few blocks away in Strathcona, to avoid paying the parking meter. Money was tight in those days. We would easily spend three hours there on any given trip. We would do the usual shop tour, primarily focused around a supermarket, my late father used to joking refer to as “Laji Dian” or “Garbage Store” in Mandarin (specifically on East Georgia and Gore Street). What was trash to some was our treasure. The vegetables were cheap and there were always crowds fighting over the sale of the week. As an aside, this same store (albeit a little quieter), has now replaced T&T as my wife and I’s go-to for Chinese vegetables. Last week we bought a bag of peashoots for 99 cents (when they usually go for 3.99 or 4.99 a pound at most Asian grocers). You are missing out if you don’t go. For me, however, Chinatown was all about the buns. Ironically, I don’t even think we even had the best ones back then. I don’t remember going to New Town or Maxims all that often, other than we needed to also buy birthday cake. We always went to the small counter on the corner of Main and Keefer (I think). These buns were cheaper and buying bulk saved money. I loved the barbecue pork puns (and still do today). I don’t remember if it was because I was younger but I remember the filling used to be much meatier. They were so good. I would eat them while walking along the streets while my mother and father shopped. I also now credit Chinatown for also turning me into a huge foodie. We would often order small blue crabs (my mom’s favourite), pig intestine, and duck feet. These were the protein of my childhood, and certainly a once a week delicacy. Occasionally, we would also buy salmon (tucked away in black plastic bags) from sellers (now I realize were likely First Nations) down the back alleys. You also have to understand to, that for me, Chinatown was my China. I had only been to China when I was four for several weeks and had zero recollection of the place. I had few Chinese classmates in my early elementary years in the Westside of Vancouver. Chinatown was the only place where, now that I come to think of it, I felt… normal and at home. I regret, looking back, not better understanding my surroundings in Chinatown. At that time, Chinatown was still so vibrant that I don’t think it dawned one me to recognize that the work was not easy, that the faces behind the counter were old. I could not have predicted, that just a few years later, we would all leave Chinatown for the “cleaner”, “air-conditioned”, indoor grocery complexes provided by T&T. Had I known concepts such as farm-to-table, organic, or even been to China and understood the role of the outdoor Cai Shi Chang (“Vegetable Markets”) I probably would have stayed. Like many, during my later elementary school years (this would have been the late 90’s for those keeping score), I rarely went to Chinatown. I avoided it. I think my family did too. This was probably around the time too, that the Downtown Eastside became more of a social issue and for a Chinese family growing up there was a proximity issues. Drugs were taboo. They were done by bad people and that being close to them we would somehow be exposed. Had I known what I later would know from volunteering in the Downtown Eastside, I again, would have changed my perception and fought against the underlying assumptions around Chinatown. I remember a few key moments – in between where I went back. In high school, we did a photo project, where I recommended that our team do a project in Chinatown. I took a photo (poor quality), but I remember at the time thinking that the individual cleaning beans reminded me of a man panning for gold. We titled it “Picture Worth a Thousand Words.” Entirely, an oversell but something I still remember today. In undergraduate (around 2009 I believe), I had the opportunity to go Singapore with Dr. Henry’s Yu’s class to study their Chinatown. Prior to that trip, we began by studying our Chinatown. Our group created a concept for an empty lot (again not trying to draw 105 Keefer references). At the time, we probably thought we were being global – trying to draw Singaporean Hawker influences and Seattle architecture. What we really should have done is looked inward. 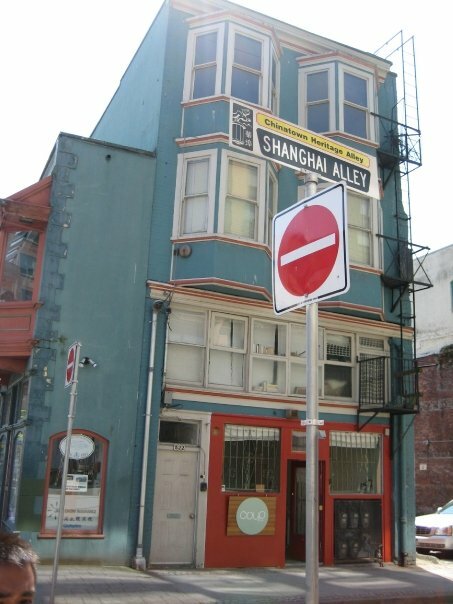 Chinatown is now a national historic site (long overdue) and we are hoping with this Apology and pronouncement on action times that there will be more history to come. 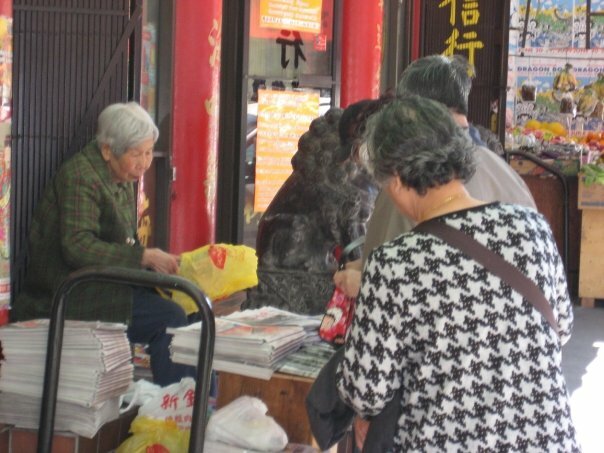 Just last week, we were buying ginseng in Chinatown and had a great conversation in Mandarin (the shopkeepers were fluent in both Cantonese and Mandarin). They expressed to us the challenges, day to day, of ensuring that they would not be subject to theft. One can only imagine, that given the reduced traffic, a handful of high quality ginseng or dried sea cucumber could put a dent in business. I am glad I have been able to introduce my wife to Chinatown. 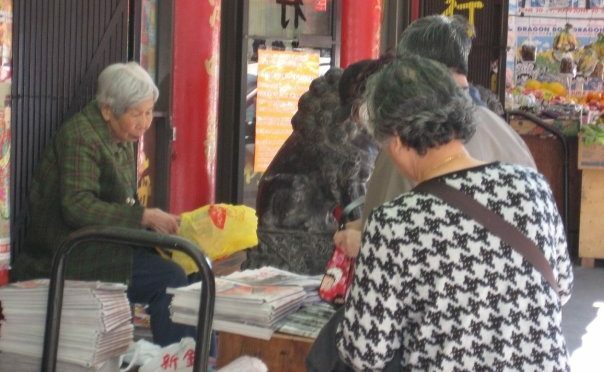 At first, she too thought the cash only nature of the stores, the walking distance, and the cleanliness were an issue. Now, we realize, that we easily save $50 dollars a week shopping in Chinatown and that it is entirely worth the commute. We have also re-discovered New Town bakery which has become the River Rock Casino of my tummy (interpret it how you will). Chinatown, to me – a Canadian with Mainland Chinese roots, zero Cantonese language abilities, and only a brief, emerging window into the historical value of the streets – is still important. I would suggest it can be important to you too, regardless of your ethnocultural roots. I know personally, I’m going to make it my mission to move beyond seeing Chinatown as simply a land asset or (in my case) a provider of sustenance and into a centre of human capital. The popo’s and shushu’s here have been through times in this City that I would argue, would have taken us all down. They have paved the way for us to be able to have influential voices in influential areas in this city. The well being of their rest of their lives on this planet, simply transcends any dollar value. Politics aside, some of the love and identity that I used to put in Chinatown as my China has now been partially filled by China. I have visited my own grandfather/great-grandfather’s ancestral village in Shaoxing. I have visited my wife’s ancestral hometown in Kaixian, Chongqing. I can tell you one thing about these places – the elderly are revered. They sit at the heads of tables. They are consulted on important family matters. Yes, this too, is being negatively affected as China faces it’s own challenges with capitalism. In these cities, and major cities in China, the ancestral home of a patriarch and matriarch is a gem. 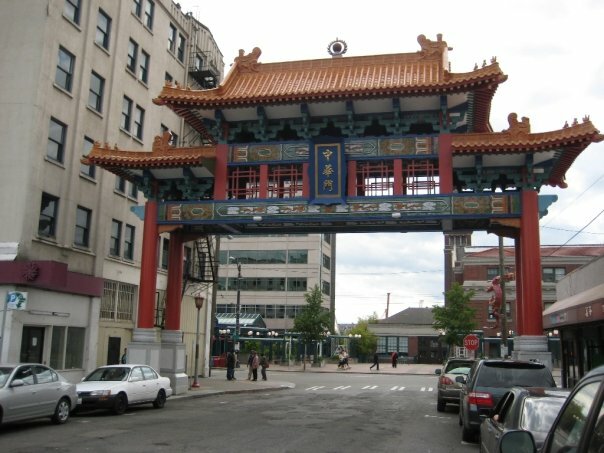 I would absolutely hate to see Chinatown, as the ancestral home of Chinese in Vancouver and arguably of Canada proper, lose it’s glimmer due to our neglect. This letter has been translated into English for purposes of clarity. Assume it is in the third language of your loved one. 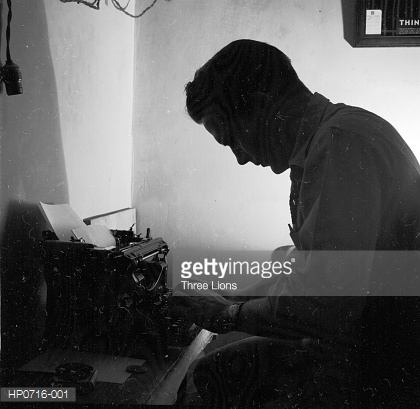 I am writing this letter to invite you to come visit me in Canada. I was going to just private message you or video you as usual, but I know we need to create a paper trail for our Sponsorship Application later on. Sigh, they probably won’t believe our love because our different cultural backgrounds and ethnic backgrounds and the fact I am just an ordinary Canadian. I am merely an ordinary Canadian and product of hard-working immigrant parents. Anyways, apparently immigration loves these types of “love letters” in addition to diamond rings and fancy weddings. By the way, sorry I could not deliver on the latter two items for you. You see, you and I were married earlier this year but unfortunately due to visa issues you have not been able to see me since then. I understand your visa was rejected three times in a row since then because they assume you will not leave Canada at the end of your authorized stay. I told then a millions times that you would, but they don’t trust my word – apparently my being Canadian, having been born here, and having studied here all my life means nothing to my country’s visa office located in your country. Apparently they believe you want to flee your home country because of the socioeconomic problems and go underground in order to be with me. Honey, you know I need you here. I know you graduated from a great university with an MBA and that your entire family is in your home country. However, you know the situation. If I leave my job and join you, I may be able to get a work permit next week but I would not be able to practice in my field. I would have no income. You would be an unemployed new graduate. Plus, I want to raise our family here. Canada should be our home. My parents are getting old and sick too and they need me to stay here. I beg you to sacrifice for me. I know you are worried about our future together. Last time I visited you, you told me that this long distance could not go on for another year. I know that with each passing day, your family is putting pressure on you to end our marriage. They cannot understand why you would want to go to a country that will not even grant you access to come visit or meet my parents. I know both of our parents have different religious beliefs and probably won’t even write supporting letters for us or hold a wedding for us. I think we may just have to have to get eloped somewhere. None of my friends have the financial capacity nor time to fly out to meet you. I hope Canadian immigration can understand this situation. There’s a freaking recession right now. Sorry again, about that (lack of) a diamond ring. I promise I will sponsor you – but not for immigration purposes of course. I also know we will have to wait at least a year and a half maybe up to three years for you to get permanent resident status in Canada. That reminds me, I hope nothing gets lost in the mail during our sponsorship process. I heard from a friend their application has been stuck in limbo for four years because they can’t reach some one at the visa office and get them this police certificate for a country they visited when they were 18 for six months. Another one of my friend’s application was refused downright. Apparently her partner in the visa office interview that there were a hundred people at their reception when there were actually two hundred and because she couldn’t remember which auntie introduced them. How can one panic and forget things so easily? Sorry for being so negative, maybe I have just been listening to too many horror stories recently. I am sure we will be okay.v Let’s say this fourth visa application is successful and you can come visit me. Just think of all the possibilities we wil have together in Canada. When I am working my fourteen-hour day, you can stay home to cook and clean. You can self-study English or take a short course, but not a degree program because you will need a study permit for that and no school will take you with your level of English. If I get off work early enough, we may even be able to go for a walk in the park for an hour so you can get some fresh air. Once you are a permanent resident, remember because we were only recently married we have conditions to live together under the same roof. If you have no job and a parent becomes sick, either you come back in a few months or I will have to quit my job. By the way, do not ever think of disobeying me or leaving me, because I will call immigration and I will have you deported. Tough luck love. You will be able to work or study in two (or was it three?) years I promise. It won’t matter that you have little on your resume since graduation. I am sure I can cover your tuition to study, in addition to our rent, and food and expenses. Okay honey, it is getting late now. I will sleep alone again tonight. Honestly, I am so jealous of the Canadian families that can spend time together. We have missed each other’s birthdays and the last several holidays. I always see politicians on TV saying that with new changes it will be quicker and that I can sponsor you sooner. I am not sure any of them have ever spent more than a few weeks apart from their loved ones, and probably only by choice when they need some time apart on their so called recreational trips. Writing letters to you and racking up my cellphone bill face-timing you is now my only recreational activity. I hold out hope though that if I continue working hard and making a little bit of money we can set up a decent life in Canada. The economy will get better. We will pay off the bank loan that I will need to get to support us for the next few years. Worst case. I mean worse case. I promise I can sacrifice for you too. Canada won’t care if I am a brain drain and that I give up my profession ambitions to go to a country I have never spent more than a semester abroad in. Right? Canada can never fully feel like my home, even though it has always been my home, without you here.